Have Alberta mayors learned nothing from the debacle that is the BC pipeline debate? Or the equally humiliating debacle of Keystone XL that ended with President Obama rejecting the Canadian proposal outright? Calgary Mayor Naheed Nenshi, left, and Edmonton Mayor Don Iveson. 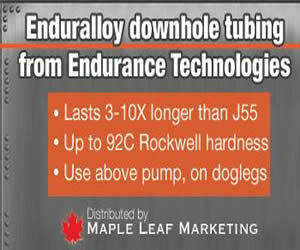 Yet, earlier this week, Calgary Mayor Naheed Nenshi and Edmonton Mayor Don Iveson were telling media that the fate of TransCanada’s Energy East 1.1 million b/d pipeline project from Alberta to New Brunswick should only be decided by science, by the rigorous process set out by the National Energy Board. Remember when former Prime Minister Stephen Harper called Keystone XL a “no-brainer”? Most observers say that slight of Obama did Canada no favours when the time came for the presidential decision. How about all the invective hurled across the Rockies at British Columbia opponents of Northern Gateway and Trans Mountain Expansion? Do you think Burnaby Mayor Derek Corrigan or Vancouver Mayor Gregor Robertson were persuaded to modify their opposition even an iota? 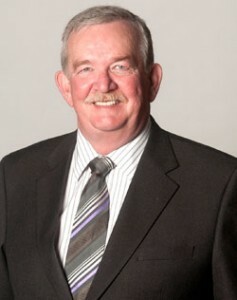 Burnaby Mayor Derek Corrigan is a vocal pipeline opponent. The hard won and costly lesson for Alberta is this: Don’t polarize the debate. As soon as there are two camps yelling at each other in the media and on social media, pipeline opponents win. And win handily, judging by the Keystone XL failure and the perilous state of the West Coast projects. What is needed is some old-fashioned Canadian compromise. The kind of politics where common ground is identified, all sides give a little bit, and eventually deals are struck. The whole damn country was built like that. Almost every major national initiative was the result of polite wrangling and eventual compromise. But for some reason, in this day and age, on energy issues of vital importance to both Alberta and Canada, our politicians – and their energy industry supporters – are content to do the Republican and Democrat thing and engage in wars of words. Look at Alberta Premier Rachel Notley, for heaven’s sake. She’s been quietly stumping for pipelines ever since she was elected last May. And it works. A week ago both Ontario Premier Kathleen Wynne and Prime Minister Justin Trudeau declared their support for Notley’s efforts around Energy East. 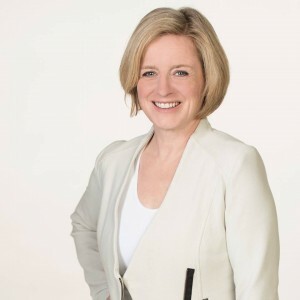 With any luck, Notley will soon charm Quebec Premier Philippe Couillard into her loose knit coalition, as well as any Maritime politicians who may be thinking of making hay at Alberta’s expense. And who better to unleash a charm offensive on Quebec mayors like Denis Coderre (Montreal, and the most outspoken municipal critic yet of Energy East) than Nenshi and Iveson? Both are smart, articulate, and utterly charming. So why are they strutting in front of Alberta TV news cameras, throwing veiled insults at Quebec politicians who are forever looking for excuses to be insulted, instead of shutting their pie holes and catching the first West Jet flight to Montreal or Quebec City to help Notley? Local politics will play a key role in the building – or defeat – of Energy East. Will someone please convince the wooly-headed mayors of Calgary and Edmonton that their current strategy is not helping? 1 Comment on "Nenshi, Iveson should shut up, take their cue from Notley on Energy East"
THEN THIS WOULD ENCOURAGE CANADIAN’S TO USE CANADA’S CRUDE OIL. BESIDES THE EXPORTING OFF SHORE COUNTRIES HAVE LITTLE OR NO ENVIRONMENTAL RULES OR REGULATIONS..
ALSO, IMPORTING CRUDE OIL SHIPS SHOULD PAY HIGH TARIFFS IF THEY WANT TO USE THE WEST OR THE EAST COAST OCEAN DOCKS AND COAST SHORES.